There are a lot of things I love about winter, especially the holiday season. But there are also things that I find challenging. As the days get shorter, the festivities end, and the colder weather sets in, the winter blues tend to settle in. But there are some easy ways to beat the winter blues no matter how busy you might be! I sometimes find that the winter blues hit me even in the middle of the holiday season. I think it’s because the hustle and bustle of this time of year can really be tiring. So this year I’m on a mission to beat the winter blue by making sure I’m taking care of myself in little ways. I’ve started now and plan to keep focusing on these easy things through the rest of the winter. I’m on a mission to beat the winter blues! So here’s what I’m doing this year! 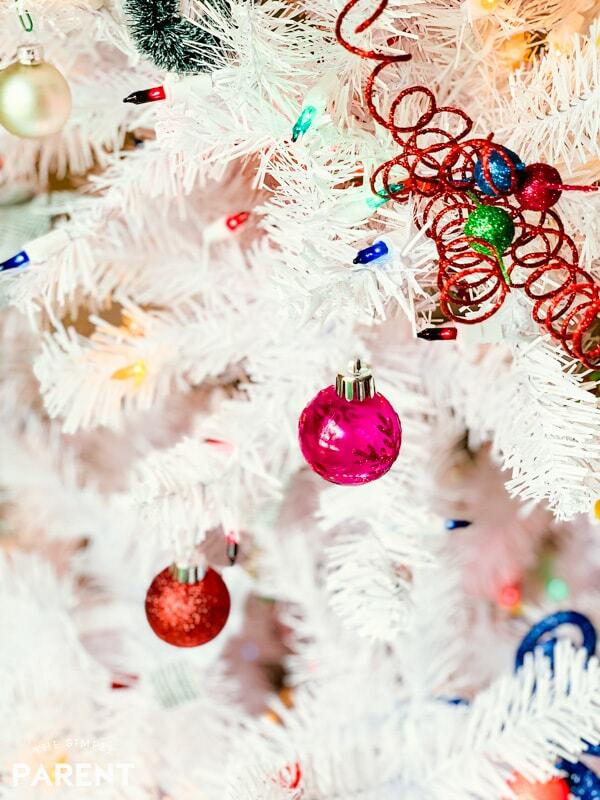 This time of year it’s so easy to stay up later than usual wrapping gifts or enjoying the Christmas lights. I’m not one to sleep in much either so if I stay up too late, I still end up waking up around the same time. So one of my goals this year is to be very intentional about making sure I stick to my routine and get plenty of sleep. I know that when I’m tired, my mood is easily impacted. Sometimes when I’m feeling down during winter, it’s so easy to reach for all of those holiday goodies. 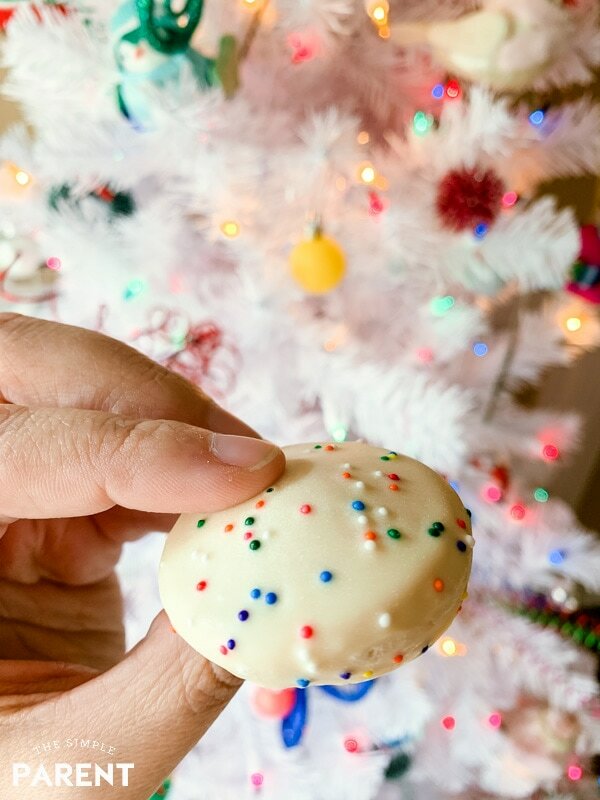 Even after the holidays, it’s easy to fall into eating a lot of the sweets that I love. But I’ve learned that while those foods taste good while I’m eating them, they’re not the best bets for beating the winter blues. For me, focusing on moderation is what helps me. 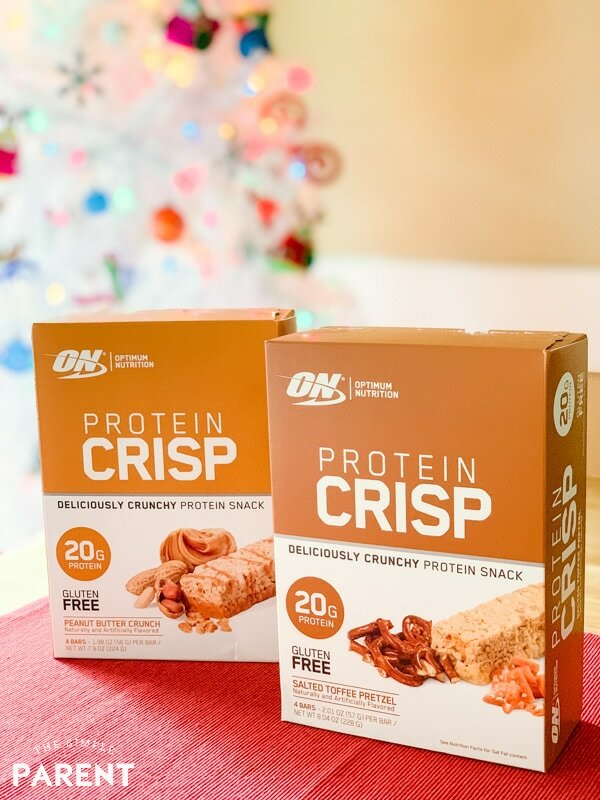 I’ve also discovered Optimum Nutrition Cake Bites, Protein Crisps, and Protein Almonds! 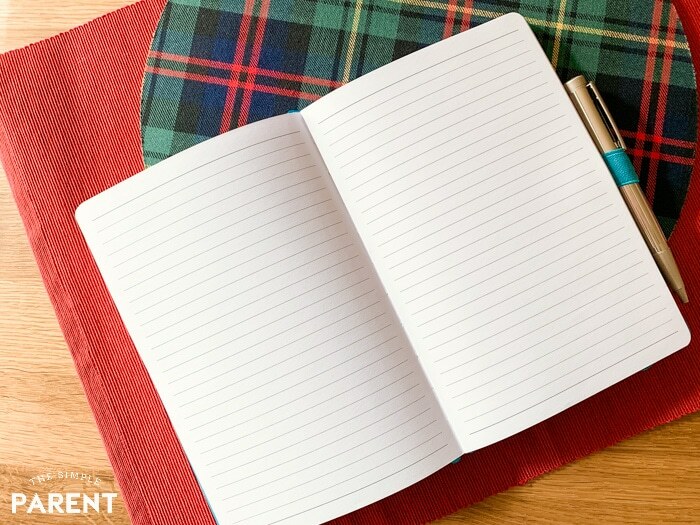 They’re all perfect for taking with me on the go during this super busy time of the year! Optimum Nutrition makes it hard to choose because they’re all so good! I feel like I’m indulging when I’m really getting the protein I need to power through the winter months! Almonds have always been one of my go-to snack options because they’re so portable! So adding the Optimum Nutrition Protein Almonds to my day only made sense! 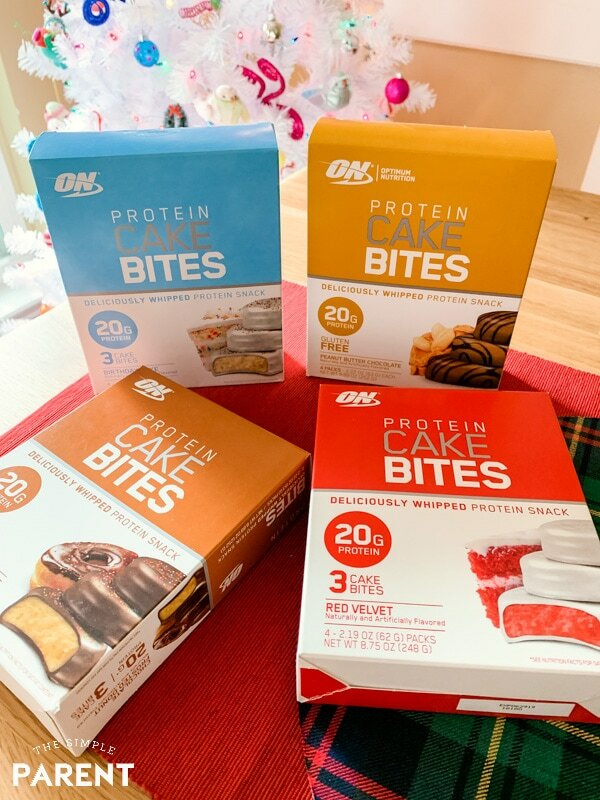 They have 10 grams of protein and 1 gram of sugar per serving with two great flavors (Cinnamon Roll and Dark Chocolate Truffle) to choose from! While I can’t get enough of the Protein Almonds, Justin has become a fan of the Protein Crisps. He wakes up really early in the morning and is always on the hunt for options for breakfast. He grabs one on his way out the door and eats it in the car on the way to work. With 20 grams of protein and only 6-7 grams of fat per bar, he’s getting a great start to his days this winter! 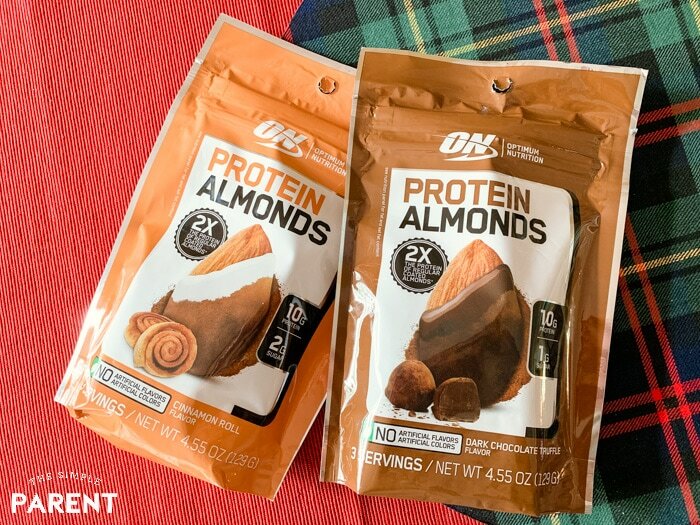 If you’re interested in checking out the new Optimum Nutrition products, they’re available at your local Walmart which makes it super convenient to stock up on your on-the-go snacks this winter! I love getting outside to exercise when the weather has a bit of a chill to it. But then when it starts to get really cold or the Houston winter rain starts, I tend to make excuses. Exercise is a great way to handle depression so I know how important it is to keep up with those habits. I always feel better when I get out and take a walk. 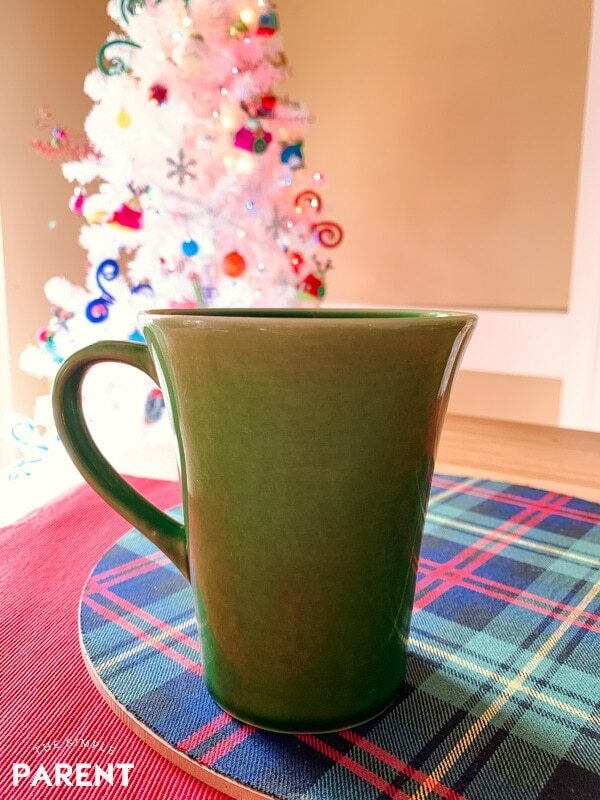 During the busy holiday season, stopping to take a few minutes to take a deep breath. When I do it mindfully, I find that I’m better able to relax and enjoy the moment. Otherwise, I often end up having to take a moment later in the day and my mind isn’t usually in the best place. Sitting down with a journal and jotting down a few things I’m thankful for has really helped me stay focused on the good, especially when things start to feel overwhelming. So I’m working to take those moments on my own in an effort to appreciate all of the good going on. I think taking time is an important self-care technique no matter what time of year. When I’m feeling down during the winter, it’s so tempting to just close the door and stay inside. But I find that getting out and spending time with my friends and family is often one of the best things I can do. It can be something as simple as grabbing a cup of coffee with a friend or going to the playground for a playdate with my kids and our friends. Hitting the movies with my family is also a fun way to get out of the house and get connected. Another way I stay connected is to volunteer. Giving of your time to others can really help in the battle against the winter. I love spending time at school in my kids’ classrooms or helping out in the early days of the Spring baseball season (which starts even earlier this year)! Nothing lifts my spirits more than planning our next family vacation. The decision-making and the anticipation of taking a trip together is a great way to help your mind focus on something good that is coming your way. I’ve already started thinking about a Spring Break trip for my family and it’s exciting to chat about all of the things we could do together. One more thing that I do all year long is to break out our favorite songs when I need a little pick me up. My kids love music and they love dancing, so they’re always willing to hop up and show off their moves. They always bring a smile to my face, plus it’s another easy way to get myself moving. Family movie night with a funny, family-friendly movie or a date night in with a good adult comedy is another simple way to lift my spirits a bit. If you’re dealing with a touch of the winter blues, taking care of yourself is so important. If it’s more than that, don’t hesitate to talk to your doctor and get support. 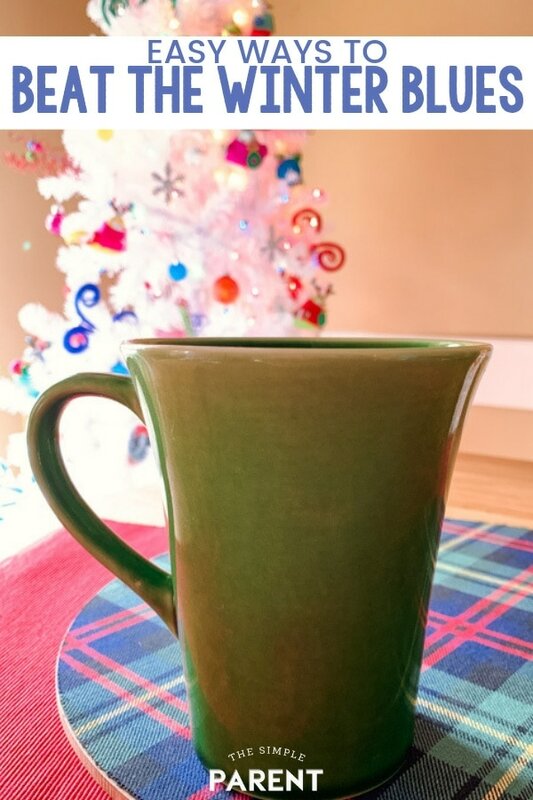 How do you help yourself beat the winter blues? We’d love to hear your tips and tricks!